Professional Services Automation (PSA) is a strategy that many companies use. PSA means automating and optimizing processes in order to save money and time. The method includes automating parts of the workflow, using more software integrations and managing company’s resources more efficiently. Business processes can be easily optimized by using various business management software throughout the entire organization. See the list of 26 boring work tasks that you can easily automate with Professional Services Automation and by applying other small hacks. It is highly important that all the tools and applications integrate with each other, creating a free data flow. This means that you need to spend less time on importing and synchronizing data between multiple software tools. If you’ve been missing out on this modern business success story, you can still catch the train. Read about the business processes that used to take hours to implement, but can be automated with the help of software. When there’s a need to analyze some data or create reports, managers need relevant information. To do that, they’re often required to move some data from one database to another. People usually export information on Excel spreadsheets or as CSV files. Later, they import the same data to another database or software tool. This kind of data exchange is a time-consuming and monotonous task. Moreover, the data needs to be rearranged on a spreadsheet before it can be imported to another tool or database. In the end, your company is spending hours of valuable time on a task that could be done in a few seconds. How to move your data between multiple tools? To automate data exchange between multiple software tools, you need to establish integrations between your tools. Modern business software solutions often include some built-in integrations with other relevant tools. For example, time tracking software can be integrated with business management software Scoro. This means that whenever you create a new time entry in Toggl, it also appears on your Scoro site. Later, you can use the data in Scoro to create task reports and invoice customers based on the time you’ve worked for them. Another way to integrate software tools is by using integration platforms such as Zapier. This online tool lets you integrate hundreds of popular tools and apps for automated data exchange. If you’re using a less-known tool that doesn’t have integrations with other software, you can always build the bridge yourself. Many companies use application programming interfaces (APIs) to establish integrations between their online tools. How to choose the right software? Opt for software and applications that can be quickly integrated with one another. This means that they should include an already built-in integration option. Using the APIs for business automation is a little more complicated. But in the end, even the more complex integrations will save your team hours of time. You can choose between integrated software and software suits. How big percentage of your business data is managed on Excel spreadsheets? Here’s another number for you: A 2008 study shows that close to 90% of spreadsheets contain errors. Excel is a great for managing strategies and tracking small budgets. But it’s a highly inefficient tool for storing all your business data. A business leader shouldn’t be wasting time trying to find specific data from multiple spreadsheets. 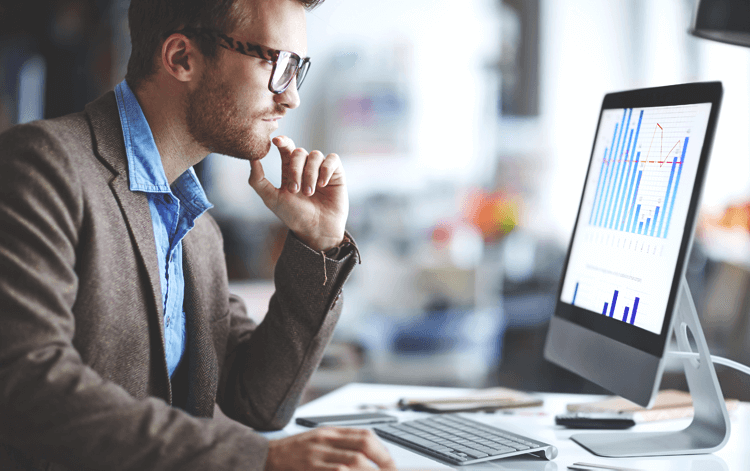 If you need to frequently access and manage important data, using small business management software is a lot wiser choice. A comprehensive business management software includes features for managing your tasks, calendar, customers and sales, projects, products, invoices, expenses and budget. First, you can track and manage all your business processes in one system. Furthermore, you can access all the important business data in one database. The search function helps you find any piece of information really quickly. All your company’s departments have access to the data from other divisions. You can set access rights to choose who has access to various information. Last but not least, you can add links between various data. For example, you can link customer profiles with completed tasks (and billable hours) that they’re paying you for. Later, you can use this data to quickly compile and send an invoice to any customer. Also, you can automatically include your expenses and incoming payments to your budget reports. There are countless ways that integrated data gives you more insight to your business. Should I use one software solution for all purposes or integrate multiple tools? Some people prefer using multiple software tools for various business processes such as sales, accounting, marketing etc. If you’re one of them, you can still link your data by adding integrations between the tools used by your team. For a complete business automation, you still need a control center that manages all your business data. When your data is gathered into one system, you get more detailed reports and achieve a higher level of business automation. Also, it is easier to manage your business processes from one comprehensive software and have the data automatically imported to smaller tools. Even online project management software include multiple features for different purposes. You can’t always implement highly specific business processes with one software. For example, some accounting activities are too specific to be done with an all-in-one business management solution. But you can still automatically exchange all your financial data between the accounting tool and control hub software. Also, the all-in-on solution is likely to include some features of billing software and budgeting software. Control hub software lets you manage all your important business processes – task management, calendar, customer relationship management, project management, budgeting, expenses and invoicing. When you use this software to implement different tasks, it collects all your data. 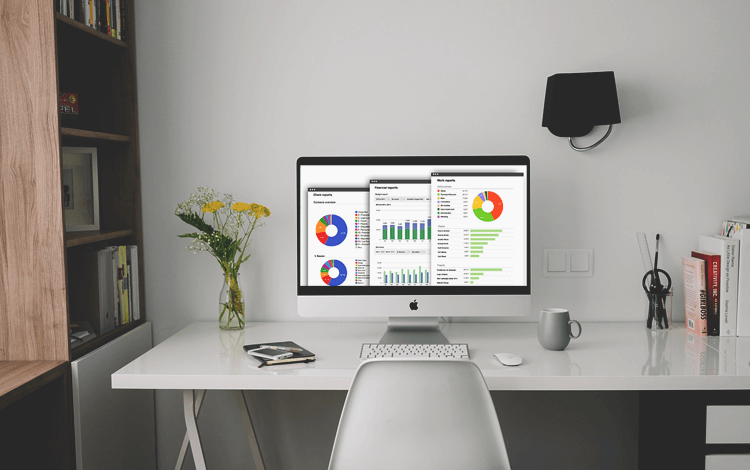 You can use this incredibly detailed data to compile hundreds of different reports for an accurate overview of your business performance. Who in your company compiles documents and forwards these to customers? Do you have a person hired for this sole purpose? Or is it the team manager that needs to handle this time-consuming task? By using the right software, you can automate the entire invoicing process. This means that you can compile invoices based on already available data. If you’ve inserted your product database to invoicing software, you can add products to an invoice in a few clicks. Moreover, if you want to bill based on completed tasks, you can do it really quickly. There’s no need to flick through Excel spreadsheets to find all the information. You simply need to track the time spent on work and manage the data with time billing software. How can software automate the entire invoicing process? Let’s start by tracking and managing your work. 2) Enter the data about completed work manually to the time billing software, without previously tracking time with another app. After you’ve collected the necessary data, you can compile it into an invoice. It only takes a few clicks to create and forward the bill to a customer. To standardize all your documents, start using pre-designed document templates. This means that the billing software includes pre-designed PDF layouts that you can customize. Add your company logo and choose the fonts to create professional documents in a moment’s notice. In place of the customer’s name, use a merge tag. This way, the software can automatically fill in the client’s name each time you email them. After you’ve created some PDF templates, you can compile invoices more quickly. All the data you want to include is automatically added to the invoice. Moreover, all the numbers such as the final sum, discount and taxes are automatically calculated. You can use the software to schedule recurring invoices. This means that after every week or month, the system automatically forwards an invoice to the customer. Similarly to the invoices, you can also compile and forward proposals. Insert your product database to the software to compile proposals more quickly. To automate your proposal and invoicing process even further, create email templates. For quick emailing, the billing software should have the capacity to manage your customers’ contact information. Look for software such as Scoro that lets you forward proposals and invoices to your customers without leaving the site. You can create custom email templates with automated fields, e.g. the name of the customer. After you’ve compiled a proposal, enter the customer’s email and send them an email. The software will forward a personalized message with an attached proposal or invoice for you. Customers are at the heart of every business. This means that they’re related to your projects, tasks, events and budget. Having your customers’ information linked with other processes is essential for successful business automation. For example, if you want to send a proposal or a bill to your customer, you should have all the necessary information in one place. A great customer relationship management tool predicts all your requirements: See the list of 20 CRM features that help to increase your sales. Let’s look at an example: You want to send to a customer a proposal for 100 units of your new product. First, you create the proposal based on the data from your product database, using a pre-designed PDF template. Next, you want to forward your offer to the customer. Luckily, you have their contact information already available in the same software solution. You just type in their name and all the information with their name, company and address is automatically added to the proposal document. The software will use their email to forward your proposal in a moment’s notice. While in Scoro you can insert your customer database and link it with other business processes really easily, it’s not always as simple. Imagine you’re using CRM software and another software for time billing and proposals. If that’s the case, you need to set up integrations between these tools to enable quick data exchange. You can automate many work processes by using the right software. Making all your data accessible in one system is the key to time-saving business automation. Remember that you need to integrate software and tools for efficient business process automation. Quick data exchange between multiple software tools is in the center of optimized work. You can also find a business management solution that lets you track and manage all the important business processes in one system. Complement it with some specific small tools and you have the perfect toolset for automating parts of your business. While the new software implementation process can be challenging, you’ll save countless of hours as a reward. Learn how to generate high user acceptance for the new software and get your team onboard for a more efficient company. Karola is the Digital Marketing Manager at Scoro. She's got 3 years of experience in growth marketing and working with SaaS startups. She's all about writing and generating new ideas, and we believe her spirit animal's a unicorn. Should You Manage Your Time or Your Energy?